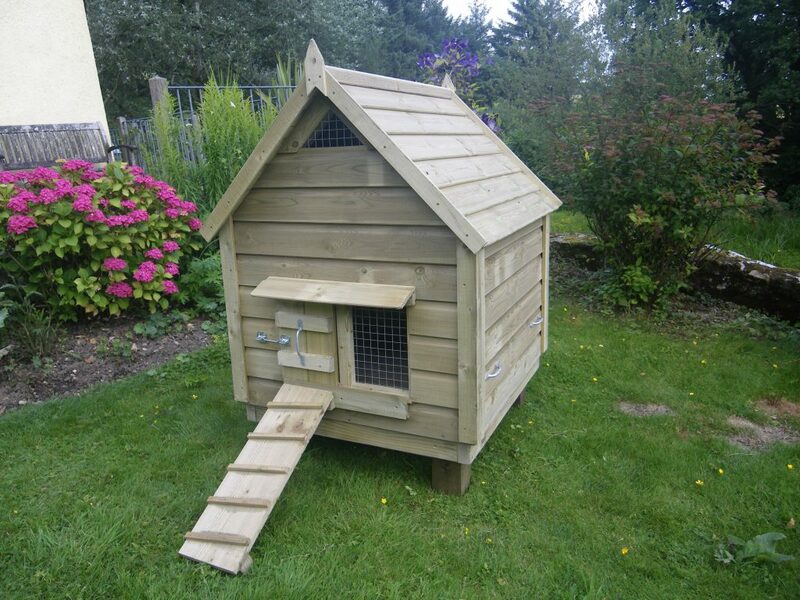 This is our smallest house in the pitched roof style for the person wishing to keep a few chickens at the bottom of the garden. 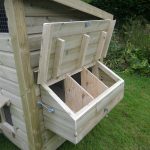 Comes ready assembled with carrying handles, removable nest box, removable perches and door for cleaning out. 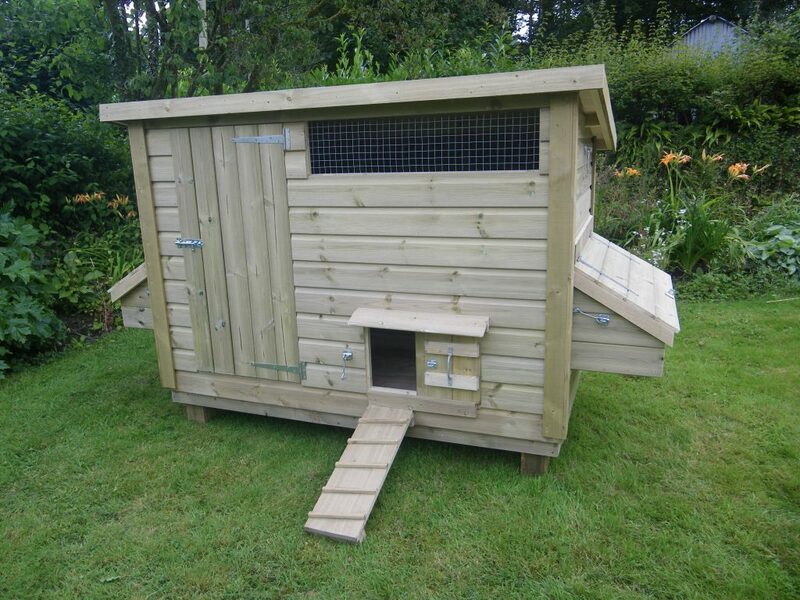 This is our largest house in the pitched roof style, taking up to 18 birds. 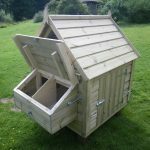 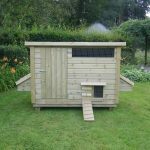 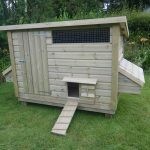 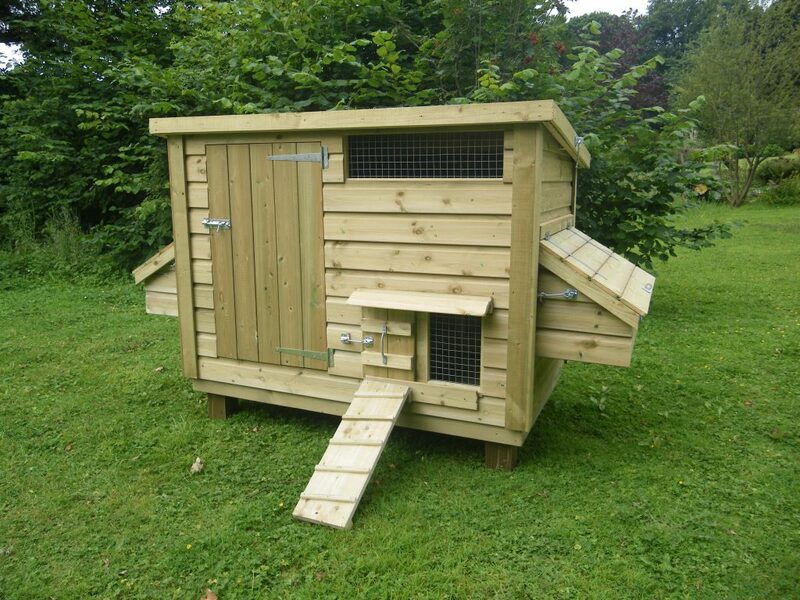 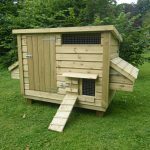 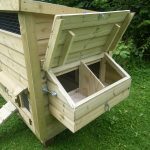 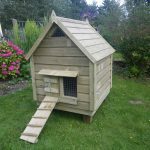 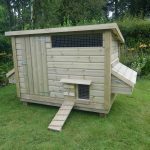 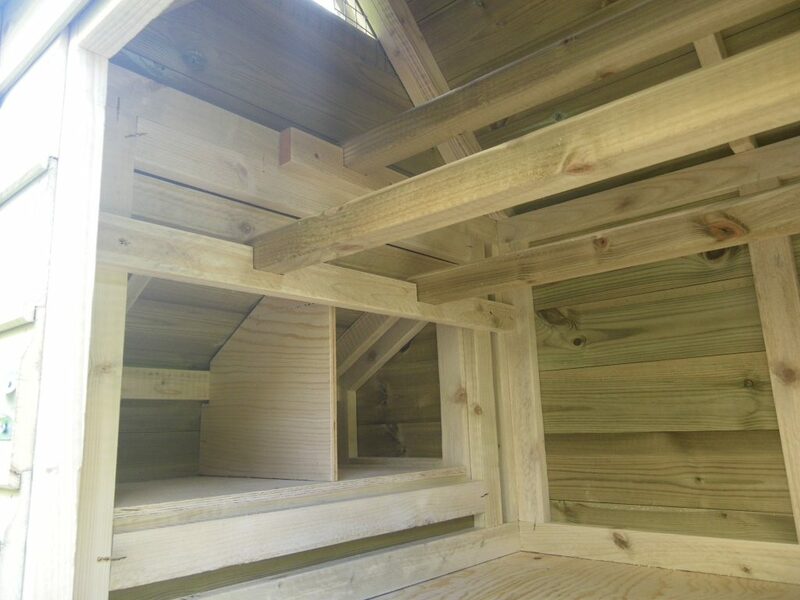 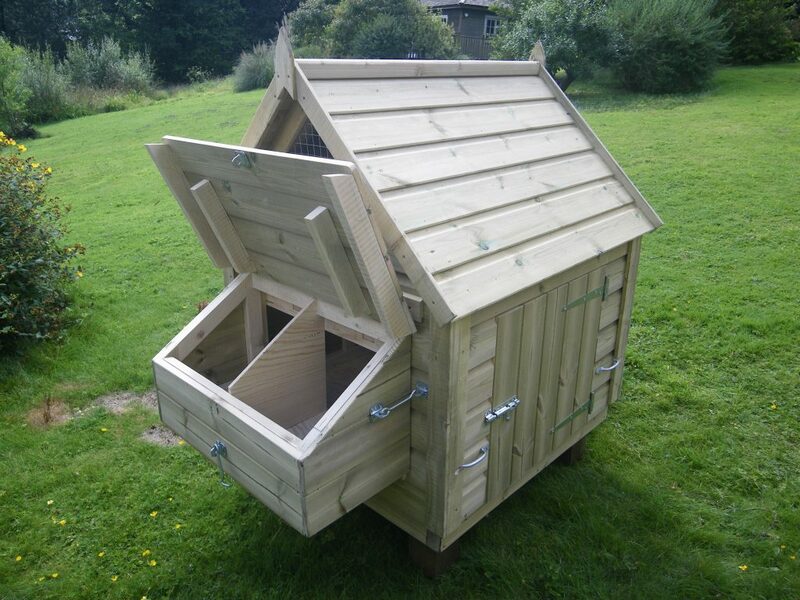 Comes flat packed for self assembly and has all the usual features such as removable nest box, 3 removable perches and large door for cleaning out. 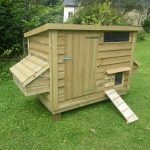 This is the smallest house in the flat felted roof style taking up to 20 birds. 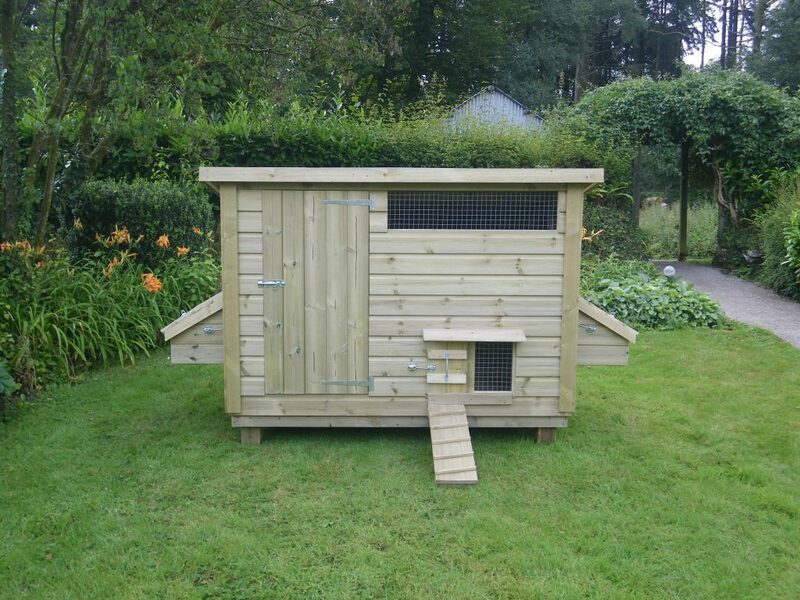 Comes flat packed for self assembly with 3 removable perches, removable nest box and large door for access. 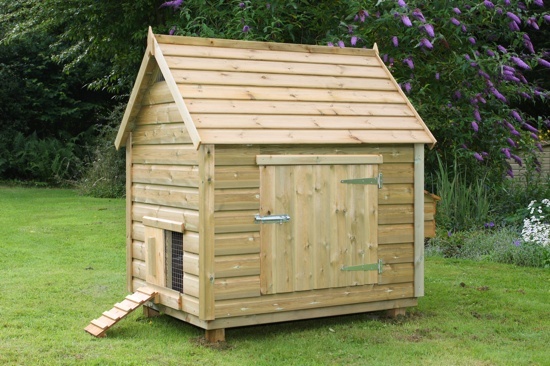 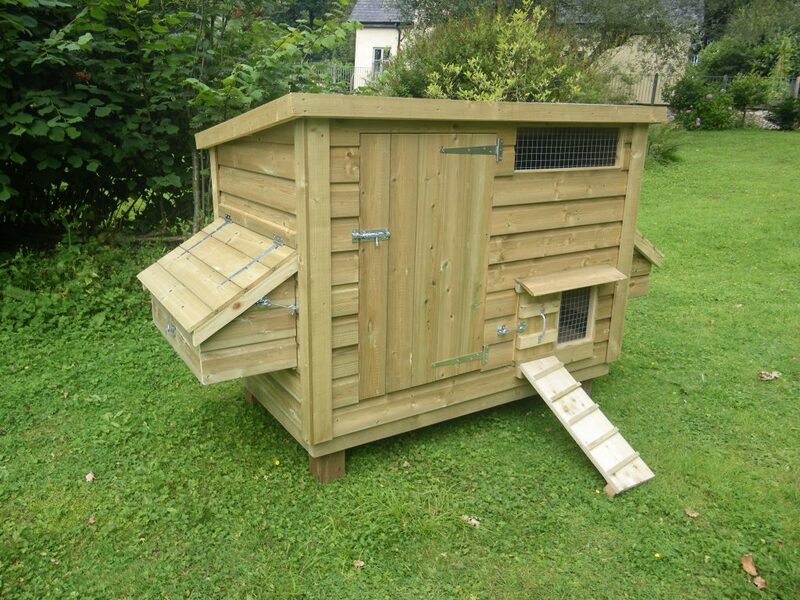 This is our largest house in the flat felted roof style for the more serious chicken keeper. 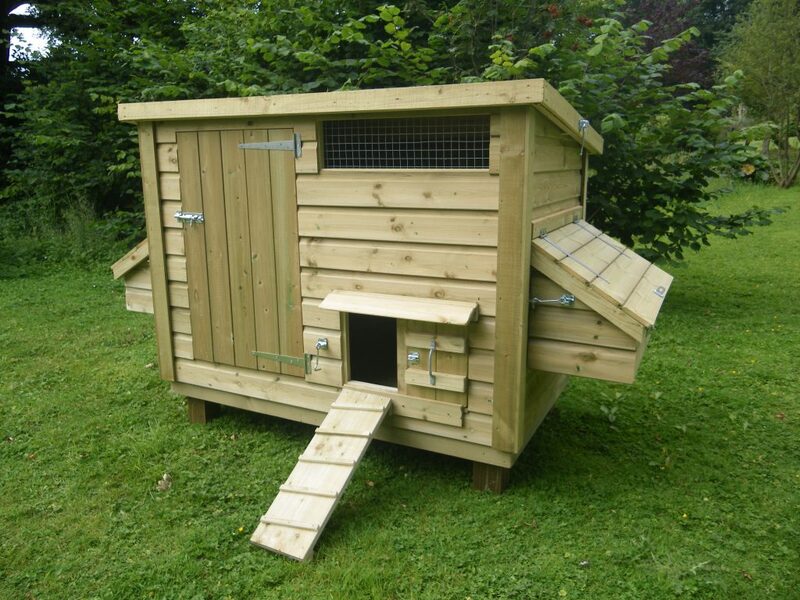 Takes up to 30 birds. 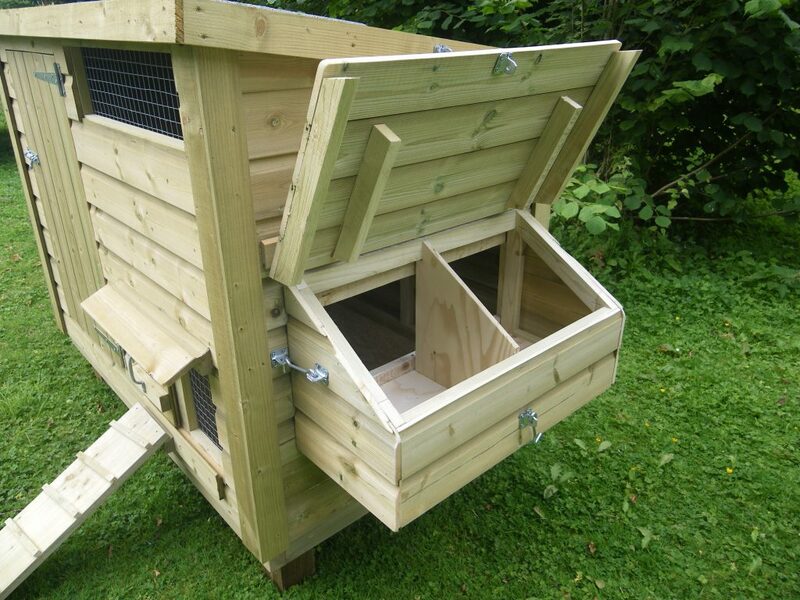 Comes flat packed for self assembly with 2 removable nest boxes, one on each side of the house, 3 removable perches and and large door for access. 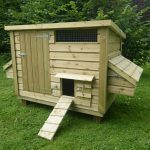 All our houses are made from good quality locally sources tanalized timber, using Tanalith E preservatives which is safe to animals yet will give many years service. 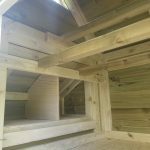 We use 16mm shiplap boarding on a 2 x 1 inch framework, exterior grade plywood on the floors and raised off the ground on 3 inch square feet, 4 inch square on the large houses. 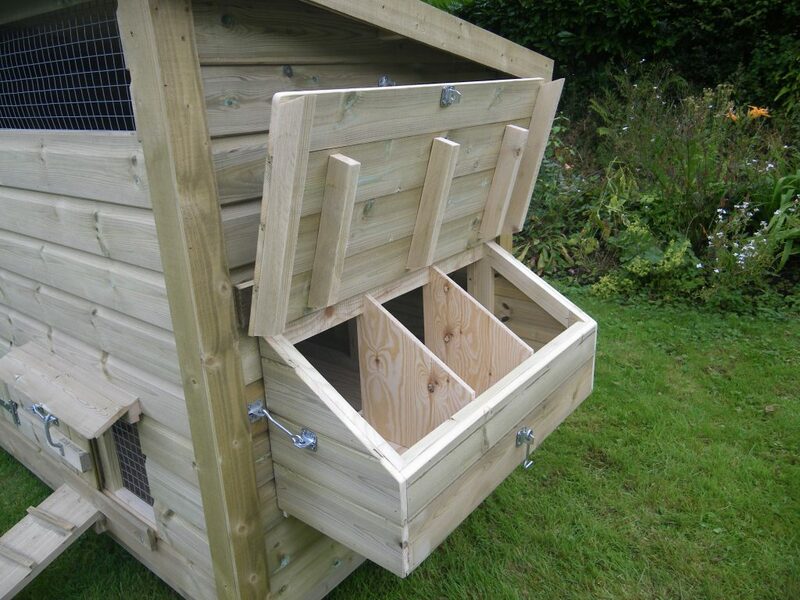 All fixings and hardware is zinc plated and all mesh is 16g and galvanised. 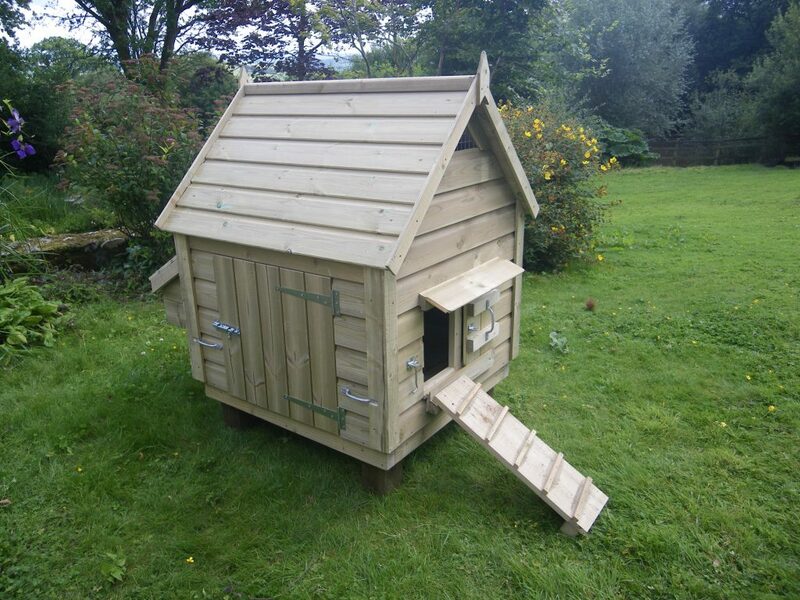 All the houses except the smallest which comes with carrying handles, arrive flat packed and are made in such a way as to make assembly as simple as possible. 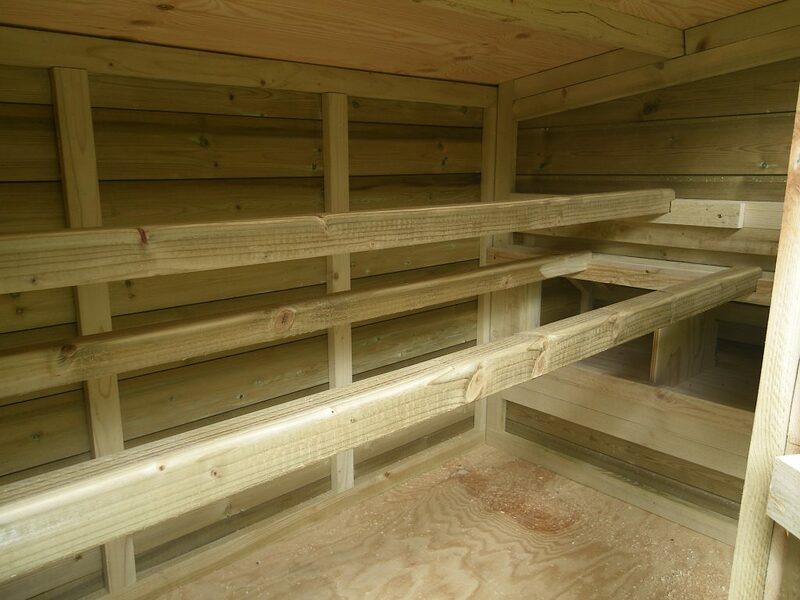 We provide plenty of ventilation with 2 mesh screens on each house to give a good circulation of air. 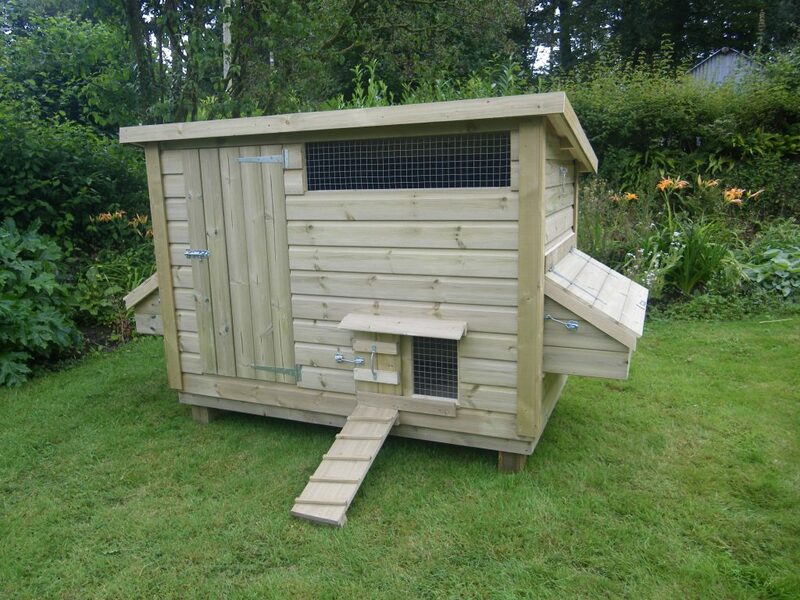 On the chicken house we have installed our unique floor level mesh screen which is good for new arrivals who need to be shut in for a few days and are able to look out and get familiar with their surroundings. 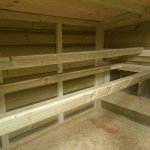 All our chicken house have removable nest boxes which un-hook from the outside of the houses for cleaning out of old bedding. 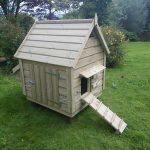 They all have large doors to give maximum access to the inside and all come with a polythene ground sheet that can be carried to a compost heap and the old bedding shaken off.